Super low loss is the proven energy-saving rubber, which reduces energy loss as a result of the numerous resisting and collision forces when the belt is running along the conveyor. With Bridgestone energy-efficient belt that reduces the power consumption, users can uphold an environmentally friendly operation by saving resources. Total resistance can be divided into two factors (Visco-elastic resistance and Mechanical resistance). 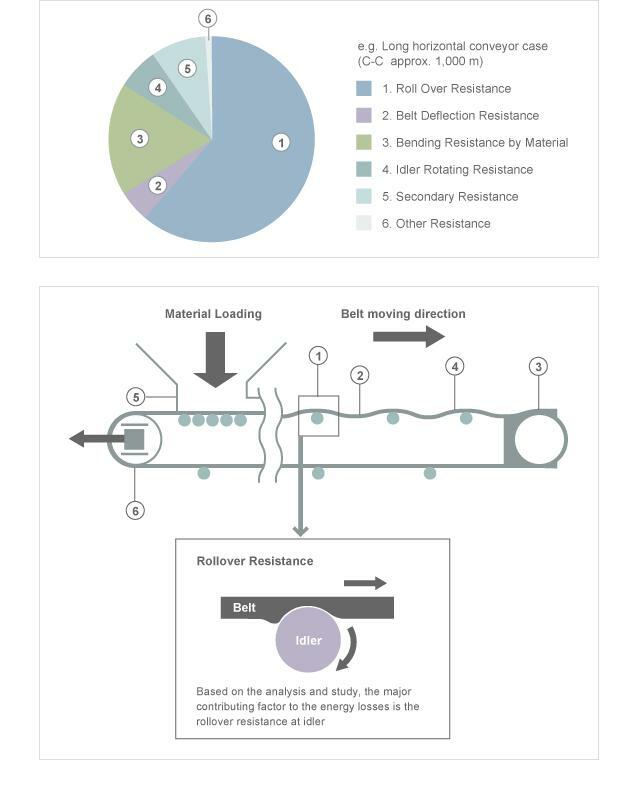 Super low loss rubber can reduce the Visco-elastic resistance and as a result of that, total resistance is reduced.